A new king of power tanks or does the prince still reign supreme? 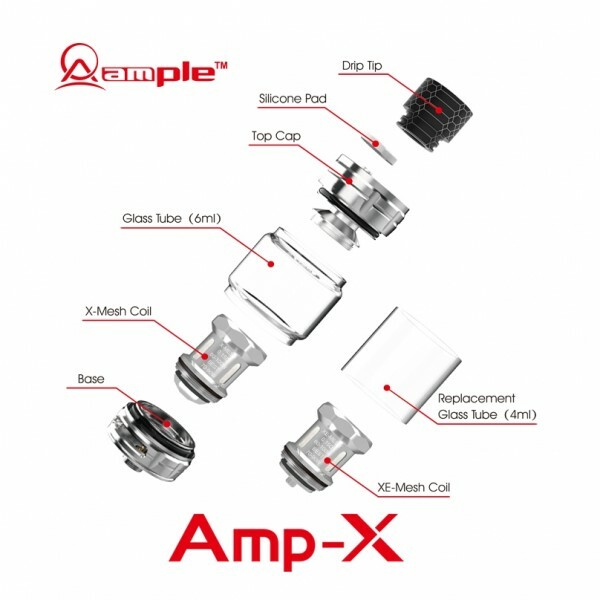 The Amp-X tank is the latest sub ohm tank by Ample vape looking to bring vapour production in a big way. The tank is a 6mil bubble glass capacity tank, with 4 mil spare glass as standard. It is a bottom adjustable airflow tank with top childproof lock fill method, with a small button to press in before opening the slide top to reveal the fill hole. It comes with a replaceable 810 drip tip in a deralin resin design and comes packaged with 2 mesh coils as standard. The 0.15 XE mesh coil comes in at 60-100w recommended and the XE mesh coil is also 0.15ohm but recommended at around 45-80w. 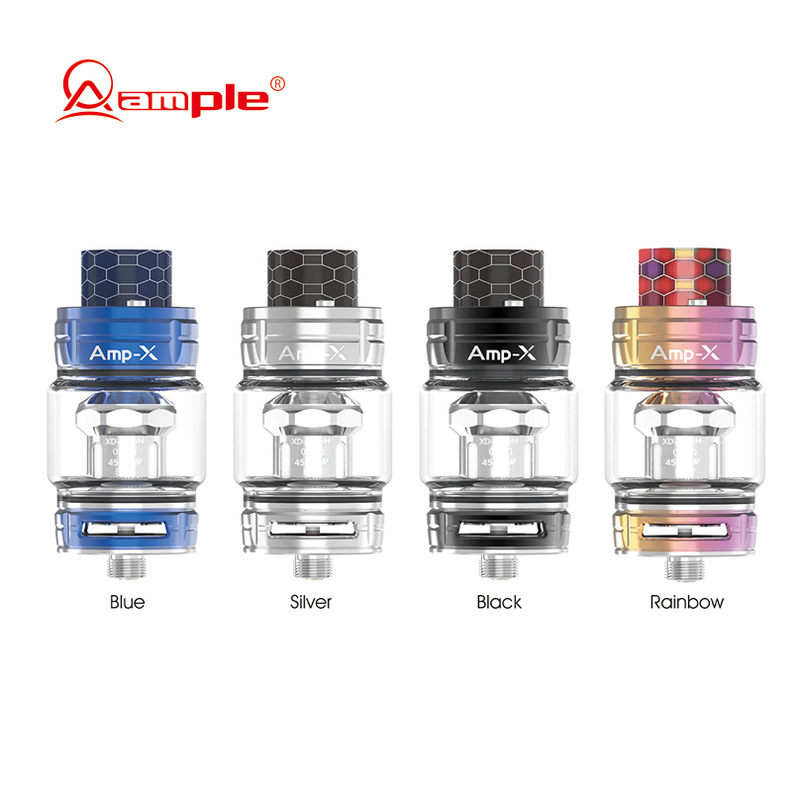 The Amp-X is a 25mm tank with 510 threading as you would normally expect. The first thing I can speak highly of with this tank is the flavour from the coils is rather good. 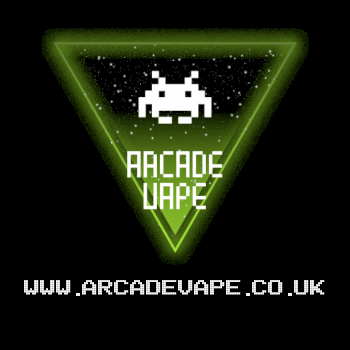 The coils feel like they are designed to be a power device rather than a flavour but you do get a pretty good thorough flavour throughout the vape. 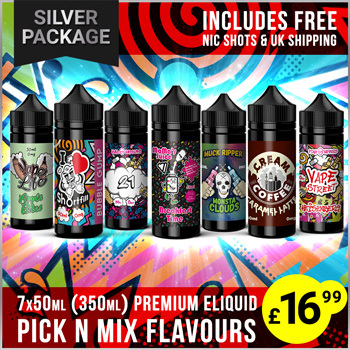 The power tank relates to the vape method giving a large amount of vapour on the inhale and combined with the nice flavour it becomes really enjoyable. Despite this, the flavour is still very prominent on the exhale as well which is really satisfying. The 6mil capacity out of the box is another big pro for me as always and the coils are not liquid greedy compared to others so that 6mils will last you longer than the standard. Coil life is pretty good as well, 2 weeks in and the coil is still performing quite well with very little drop in performance as of yet with the XE mesh coil. 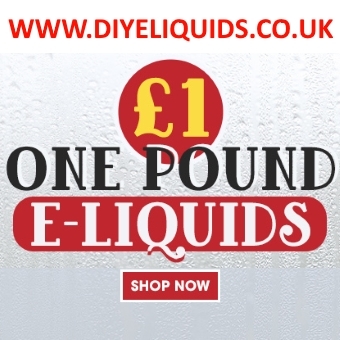 This is combined with fantastic wicking and even performing when the tank is low on liquid, so no dry hits and no leaking whatsoever neither from these coils. 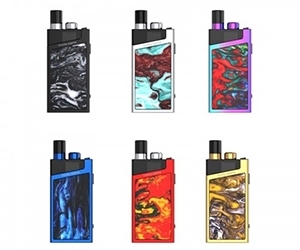 The next pro for me is the colour designs for the tanks, I picked up the rainbow version and it looks lovely combined with the drip tip, it gives the tank an overall nice design. The fill hole is another pro for me as I found it doesn’t bubble up despite the kidney shaped design like other tanks seem to do. 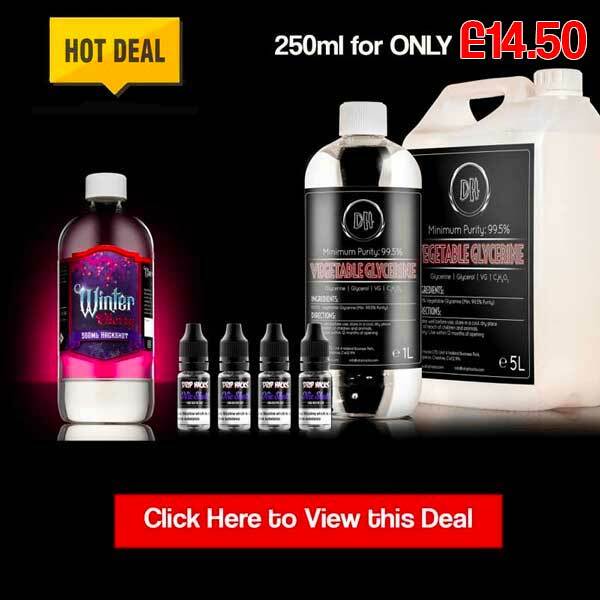 The price point on this tank is going to be a big pro as well, at under 25 pounds it is well worth that price if the tank appeals to you. The first negative about the Amp-X is that child proof locking system, it is very fiddily to use unfortunately. I love the idea behind it, but combined with the large drip tip, it is a little hard to push and slide in one attempt and more so when not placed on a surface. I would have preferred a simple button mechanism or even just a larger button to press that would make it easier. The next thing is going to be the vapour on the exhale feeling a little underpowered to me. As mentioned it does compensate this by the inhale but at around 90w, I would have loved to see much more thick clouds coming out and it doesn’t quite hit that level, despite the satisfying vape you experience. The next con is that the tank looks a little tall for me, when sitting upon a standard sized mod. It is a big tank but it probably could have benefited a little more simply though having a shorter chimney and wider bubble glass to keep a low profile on a device. That is not to say the design looks bad per ce, but it is certainly taller than quite a lot of other tanks on the market. Other than that there really isn’t any other cons and certainly the coils have stood up to several different juice and still carried on. The biggest sticking point for me personally is the fact it looks just like the Smok prince and although I think that design is seemingly on purpose, it still proves to be a little niggle for me. As it stands it is a much better version of that tank and does provide both performance and longevity and outclasses the former in most departments. I am a big fan of the prince design so that is not to say there is anything wrong with that, simply I would have preferred a more unique design because Ample-vape certainly have brought a very good tank here. 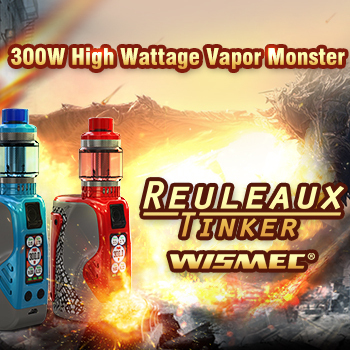 A fun little fact is that the tank is compatible with the TFV12 coils as well so you have the additional option of bumping the power right up with one of those, although I feel the Amp-X coils are much more reliable and better performing options. 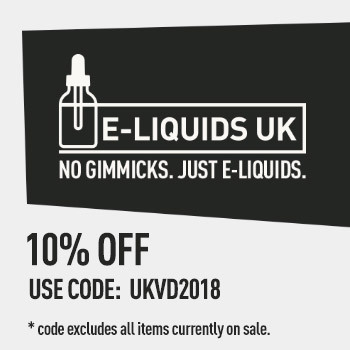 This is one of those tanks I can really recommend if you want something that vapes similar to its lookalike but you want a really nice flavorful vape and large warm Inhale compared to the usual cool mesh vape that some others provide. This is well worth looking at, perhaps this will surprise you as much as it surprised me. Ample-vape remain a prince in the market but this vaping prince is getting ready to take the crown one day in the future. 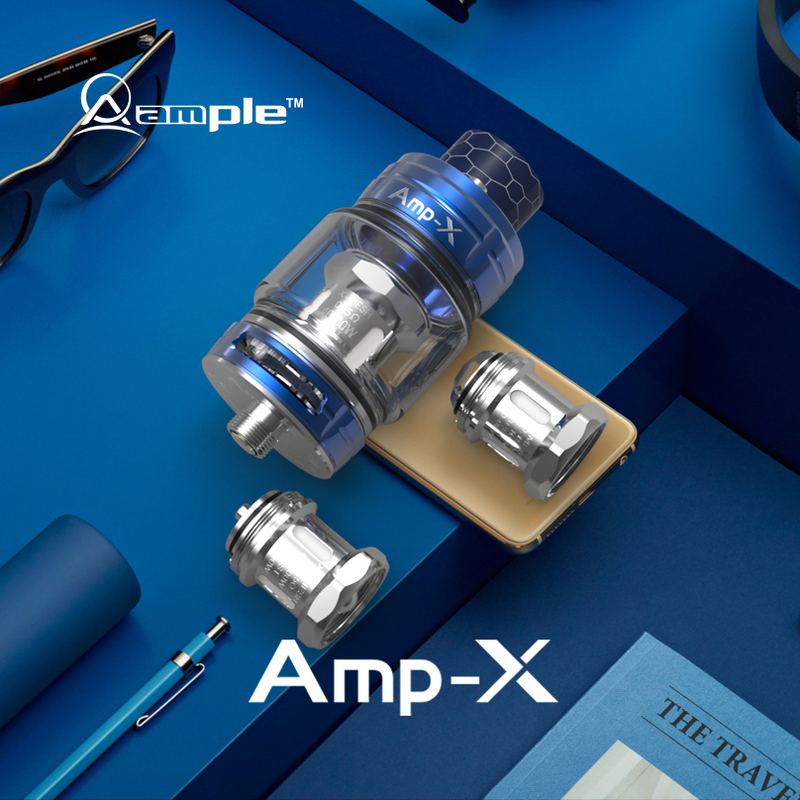 The Amp-X combines a lovely big warm inhale and flavour throughout the vape to make it a real surprise hit in the market. With a great colour design and coil longevity, this could well be a great alternative to the same cool mesh vapes found elsewhere.